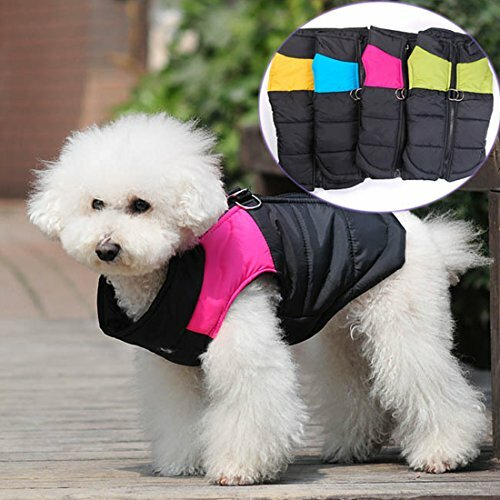 1.LIGHTWEIGHT&WARM: Made of waterproof Polyester fiber outer layer, soft and warm inner cotton layer, windproof and snowproof. 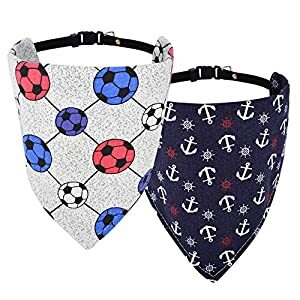 Let your dog enjoy playing outside. 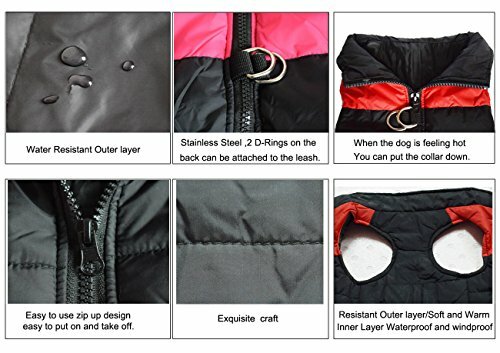 2.WATER RESISTANCE – No one wants to get wet during the cold weather, and this is why REENUO Padded Vest is water resistant. 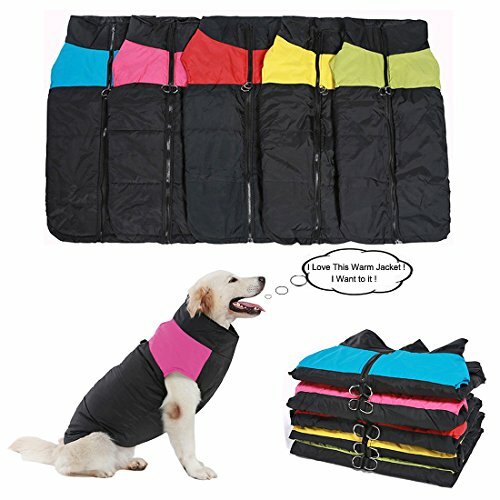 It helps your dog away from the wetness and keep your dog dry and warm when they play in the snow. 3.ZIPPER CLOSURE – Zipper closure in the back creates an unique look as well as a secure fit. Safe guard prevents any furs to get stuck in a zipper. 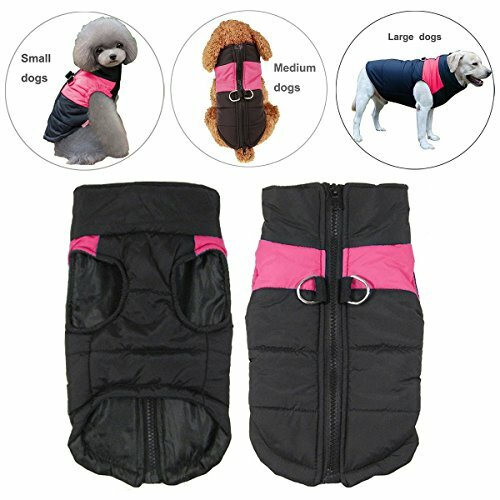 Your dog will looks very great in this warm padded jacket. 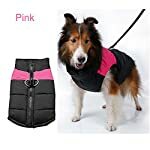 The length of the belly part is shorter, and you don’t need to worry that your dog will pee right into the vest. It’s not a problem. The IREENUO new thick cutton dog vest jacket is perfect for those autumn/fall weather. 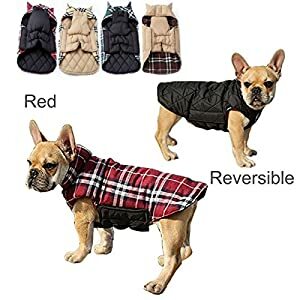 It makes a great fall sweater, car coat, kennel coat and can even be worn indoors on cold winter nights. We love it camping! The can be worn on its own or under our Rain Slicker for extra warmth. 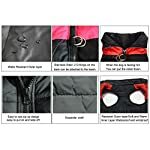 We are passionate about making the best fitting coats andamp; apparel and have dozens of sizes and patterns in stock. 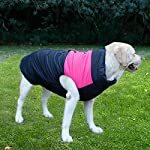 We have over 5 years of experience measuring dogs and perfecting the fit of our coats. 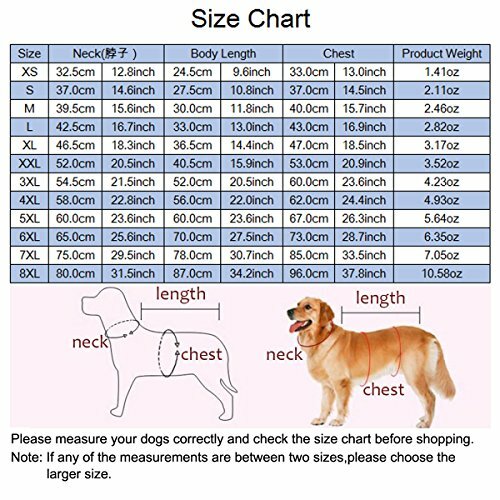 Please choose our clothing according to your dog’s measurements, not the clothing size. 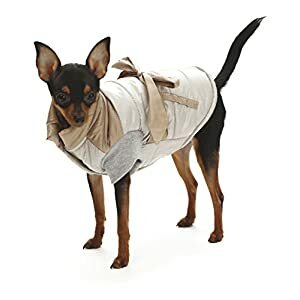 We highly suggest that you read all sizing information for each piece of clothing VERY carefully to ensure that you get the correct fit for your pooch, and avoid any costly return shipping fees. 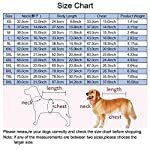 If you have any questions, please E-Mail us and we will be happy to help you pick out the perfect size. 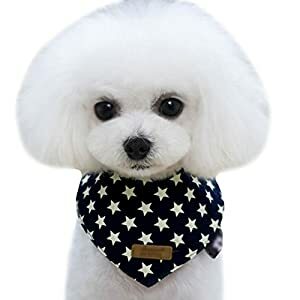 Thicker cotton neck warmer,perfect back length and inner layer fleece designs to conserve body heat to against the winter cold weather well. Abdominal buckle-type fastening and elastic ribs fixed offer the best range of motion for the dog, make it a great candidate for highly active dogs. Reflective strip along the back are great added safety features. If you have any issue about item. Please feel free to contact us.